One burning issue in the mind of an average person in this part of the world when it comes to insurance products purchase is: “Will the insurance company pay me when I have a claim?” This question is as old as insurance itself. I recall instances when I have to talk with people about insurance and the need to insure, the response I get from some of them is the same as above. Many have tagged insurance companies as fraudsters! This blog is written to correct this notion and hopefully clear all doubts. I am going to take 5 reasons in this part and conclude with the remaining 5 reasons in the second part. Unpaid / Unremitted Premium: according to the principle of insurance which is also true in the principle of contracts, premium (which is consideration in the law of contract) must be paid in advance for the contract of insurance to be valid. 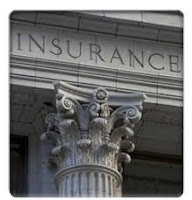 This is the most important aspect of an insurance cover, without which there is no cover – NO PREMIUM, NO COVER! At times agents, after taking up a policy on someone’s behalf might fail to remit the premium to the insurance company before a loss. However, when such a loss thus occur, the first thing an insurance company will check is the premium status of the policy. If the premium had been settled before the claim, the claim stands a high chance of being paid all other things being equal. However, if the premium was not paid before the loss, repudiation (rejection, refusal…) is the remedy. You may ask: How do I avoid this? I’ll tell you. To avoid finding yourself in this kind of embarrassing situation, pay your premium immediately you purchase the policy or pay a deposit premium instantly (in case of payment in installments) and followed by the balance payment. Not only that, if you bought the policy through an agent, be deliberate, issue your premium cheque in the name of the insurance company on your insurance paper and not the agent’s name. Fraudulent Claim: insurance is taken for an unforeseeable occurrence i.e. the event, occurrence, loss or outcome must be probable (under probability). If a person for instance, take up a fire insurance and decides to set his house on fire, it's a criminal act called arson! Or wilfully damage his car(in the case of motor insurance) in order to come for a claim - it is fraud! When an insurance company is able to trace a claim to fraud, the claim will be repudiated automatically. I recall a recent case with one of our clients. This man reported that his car was engulfed in flames from his engine while in motion, which according to him resulted in the total loss of the vehicle on the highway. After documentation the office sent me out to inspect the burnt vehicle. Armed with my camera, I set out on what eventually turned out to be a wild goose chase. What happened was that, after combing the area alleged to be the spot of the accident without success, I decided to ask some policemen in that area. Surprisingly, they told me that no such accident occurred in that area at the time I gave them. Conclusion is that there was no such accident to the vehicle, the insured reported a fraudulent claim which led to the claim being repudiated. Incomplete Documentation: if you are filling in a claim be ready to turn in all documents. For example, proof of ownership, photographs, purchase receipt/invoice, estimate of repairs etc in the case of motor insurance claim. And in the case of personal accident claim medical report, receipt of payments etc are necessary. I will deal with this subject in my forthcoming blog: Documents needed that will make your claims valid. Watch out! Make sure your documents are in order and complete without that your claim will be delayed unnecessarily because insurance is based on documentary evidence. So take my advice, tender every document as evidence, be patient. Another client of mine reporting a Workmen’s Compensation Claim was told to supply the medical report, receipts and every other document to show that there was an accident on one of his staff. What he sent was just a picture of the victim on a hospital bed, when we ask for the other documents he became furious and said it was rubbish! Till date the claim is still pending, if he decides to tender the documents the claim will be treated further. So document like crazy. Yes people do have made an opinion about several insurance providers that they are very strict in paying off claim and simply denies even if the reason is valid. This is the fact why people do choose a carrier that do assures that their claim process is easy. I do agree with all the reasons that you have stated that are possible reasons behind a denial. I will conclude the blog soon.